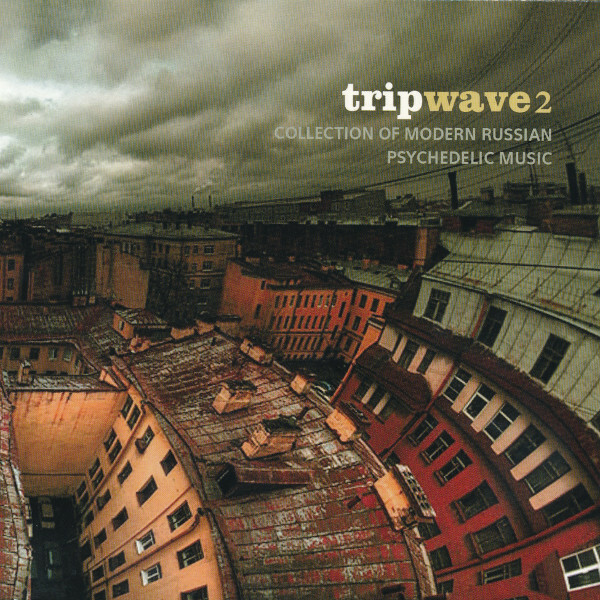 This “Collection of Modern Russian Psychedelic Music” concentrates on one particular aspect of psychedelia, namely the side that leans towards space rock rather than concise, catchy, rock tunes. In other words, more Steve Hillage than Strawberry Alarm Clock. There are a couple of familiar names (Ole Lukkøye and Polska Radio One) and a slew of new ones (Ciolkowska, Rada & Blackthorn, Bowl of Knowledge, Sonora, Cosmic Triggers, Dead Man Tell No Tales, and Kamni), but the style is consistent enough that all of this music belongs together. Ciolkowska gets us off to a good start, and their distinctive feature is the prominent use of ukulele in the arrangement. Yes, ukulele, not exactly an instrument you think of in space rock. But they make it work in a tune that grooves along nicely and features some heavily effected guitar playing, and it’s not doing the kind of corny strumming the uke is known for, instead acting as a mandolin or other acoustic stringed instrument might. Definitely a band I need to check out. Rada & Blackthorn give us a lengthy rocking tune that alternates sections of heavy riffing with throat singing drones. There’s also a female vocalist, RAda, and some may find her spacey vibrato a bit off-putting, though I find it suits the music well, providing a tonal contrast to the electric guitar. Bowl of Knowledge then gives us “Ganja Yoga” (I think we know where their interests lie), which starts out with some interlocking guitar parts, then moves into a slow reggae-inflected groove. Sonora’s track moves toward Meddle-era Pink Floyd, though with a female singer; Cosmic Triggers present another slow-grooving track with spaced-out female vocals; Dead Man Tell No Tales takes us towards 70s hard rock territory; and Kamni presents a jangly minor-key Floydian dirge. The Ole Lukkøye contribution is an excerpt from their excellent Dyatly album, and Polska Radio One’s tune is from their Cosmos Inside release on Trail Records, both of which have been reviewed previously. While there are some similarities between the tracks on this compilation, there is enough variety to show the Russian psych scene as a vibrant and interesting corner of the musical world, with quite a few bands worth further investigation. Ciolkowska and Rada & Blackthorn in particular are good discoveries.